Wherever you plant your feet when you’re at work, do it in these Timberland PRO Men's Brown 92673 Boondock 6-Inch EH Waterproof Boots. They’re tested to the very limits of material strength, so you can get out there and give it your all. And because they’re f ... (see full details) (see specifications) #TMBTB092673214. Wherever you plant your feet when you’re at work, do it in these Timberland PRO Men's Brown 92673 Boondock 6-Inch EH Waterproof Boots. They’re tested to the very limits of material strength, so you can get out there and give it your all. And because they’re fully loaded with a whole suite of hi-tech features, there’s a ton of other reasons why these are already your new favorite work boots. Now before we start, there’s a lot of numbers and facts to take in, so get ready. But they all go to show just how rigorously these Timberland PRO boots have been tested. The sole of these brown boots has been tested to meet and exceed these standards - EN345 TMP ASTM fuel A 7 Disell ISO 1817 liquid F for 22 hours and ASTM IRM903 and fuel B for 46 hours. That means whatever you put your feet in, whether it’s oil or fuel or anything else that’s on site, these soles will stand up to it. These Boondock boots are also designed to stand firm in most conditions, so you won’t slip over at the vital moment. And the deep lugs underneath will give you traction in the toughest and most unpredictable of terrain. Your feet will be stable in your new waterproof boots too. There’s a rigid external heel cup to give you some lateral stability, but also you get a fiberglass shank to help your foot retain its shape while you’re traversing tricky ground.All of that support is enhanced when you consider there’s a dual density anti fatigue sole that sits under your foot, absorbing shock from the ground and feeding back into the foot as energy, at the points where you need it most. That sole is connected to the upper of these EH boots by a three quarter Goodyear welt and cement heel construction. It gives you a stronger bond, a tighter bond, and better flexibility. But when you combine it with the overall design of these Timberland PRO boots, you get EH protection. So if you’re working in a potentially hazardous environment with live circuits or live electrical cords - you’ll have the best chance of avoiding electrical shocks.But let’s not forget, these brown boots are made from waterproof leather with a waterproof membrane that will resist abrasion and keep your feet dry. And the Ever-Guard leather heel only adds to the durability and comfort of your new work boots. Finished in stylish and rugged brown, you also get a molded Timberland Pro rubber toe protector and the ability to get flexible with how you lace them up, due to the dual purpose hardware that’s built in. A padded top collar and antimicrobial mesh lining mean you’ll be out there all day, but your feet will remain dry, fresh, and free from odor. 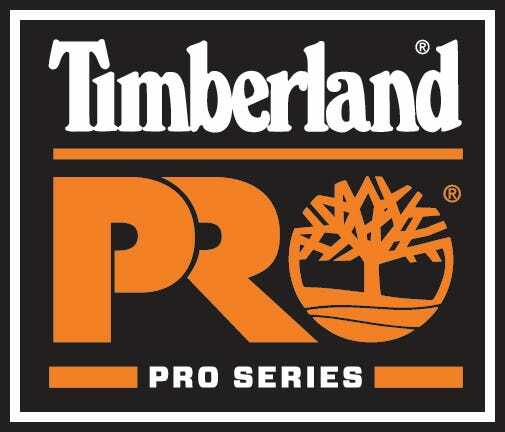 Stay dry and comfortable and wear a pair of these Timberland PRO Men's Brown 92673 Boondock 6-Inch EH Waterproof Boots. Your feet will be happy with the decision, we promise! I have owned them for 3 weeks now and they are very comfortable to wear all day. I work in a machine shop and I am on my feet all day. These boots are definitely the most comfortable boots I have owned in the past 6 years. I decided to give a pair of these a try; I am a long time wearer of Timberland Pro Titan work shoes. Big mistake, these are the most uncomfortable boot I have ever worn. There is a seam that runs along the inside that chafes your foot. After 12 hour days for 6 weeks and still getting blisters I gave up on them. I will be going back to Titans, save your money. Comfortable and seem to be great work boots but notice by the end of day or after a few days of wearing them they are just so darn heavy. Would like them a lot more if they were lighter! They do hold up well, have not had any problems with wear and tear of the material. No blisters or rubbing inside the boot, just fell like for the money I should enjoy wearing them more! Timberland PRO Boots: Men's Brown 92673 Boondock 6 Inch EH Waterproof Boots is being added to your cart.